If you’re looking for a sport for your homeschool family, fencing is a great choice. It’s a fun activity that will lead to lifelong engagement for your child. Your coaches are Dan Gorman, Liz Mayerich, and Benoit Bouysset. We are certified by the US Fencing Coaches Association or the French Ministry of Sport and have over 60 years of combined experience. We got into this business because we believe that fencing is a sport that supports the development of a well-rounded child. 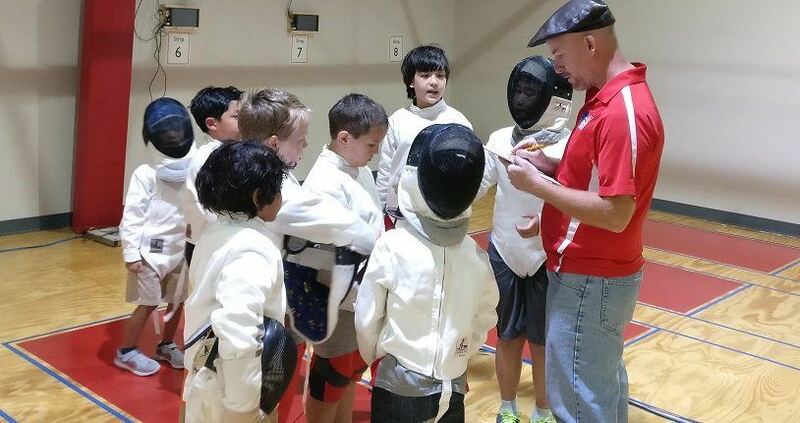 The skills they will learn in fencing go well beyond the physical: through fencing, your child can practice dedication, sportsmanship, tactical thinking, and goal setting. Fencing is the sport of knights and swashbucklers. We will teach you to move like a fencer, wield your sword, and compete with your classmates. Our homeschool classes also incorporate conditioning, coordination and movement exercises to make it a great stand-in for a physical education class. Any interested student, ages six and up. Every Tuesday and Thursday, 1:00-2:30 PM. Fill out the form, or contact us at Info@HoustonSwords.com or 832-674-0774. Be sure to ask about our family discounts. Houston Sword Sports is located at 10371 Stella Link Rd, Houston, TX 77025.